Sponsored by the Friends of the Black Earth Public Library. Winning bids announced on Friday, December 21, 4:30PM. Thanks to our local artists, crafters and donors! Photos of items will be added to the Facebook Silent Auction Photo Album daily! Six framed art prints along with items made by local artists are available for bid at the Black Earth Public Library. The event, sponsored by the Friends of Black Earth Public Library, begins Dec. 5 and runs through Dec. 21. Among the pieces are six posters printed by the Dane County Cultural Affairs Commission. Each is framed and ready to hang. Other items include a gallery wrap canvas photograph of Natural Bridge in Sauk County, hand made Lazy Susans, and a cooking lesson with Lisa Lutz. The items are on display at the Black Earth Public Library, 1210 Mills Street, Black Earth. Stop by and place a bid. 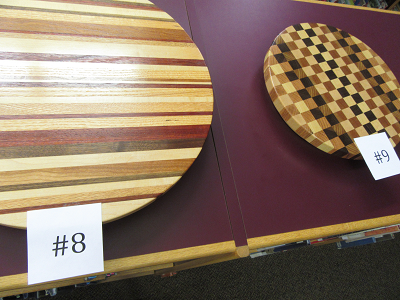 Proceeds from the auction support the Black Earth Public Library.